The BBC Trust has approved plans to offer range of speech radio programmes online up to seven days before they are broadcast on BBC Radio 4 and other BBC radio stations. Speech based programmes can be offered online first with immediate effect. The approval does not apply to music output, nor does it apply to BBC Radio 5 Live Sports Extra, which currently only broadcasts live shows. The plans have been approved as part of the Trust’s service review of Radio 4, BBC Radio 5live, and sister stations Radio 4 Extra and 5live Sports Extra, published today. The review asked audiences for their views on the stations, with over 5,000 people taking part in a public consultation plus audience research with 2,000 people across the country. For Radio 4, audiences are most likely to describe it as ‘informative’, ‘high quality’, and ‘intelligent’. The BBC Trust has recommended that "Radio 4 should protect the quality and range of its programmes that are not generally offered by any other UK radio station, such as comedy and drama". The Trust says Radio 4’s digital sister station Radio 4 Extra is appreciated by audiences for "programmes they can’t find anywhere else", with its listening hours increasing, bucking the trend in radio listening. 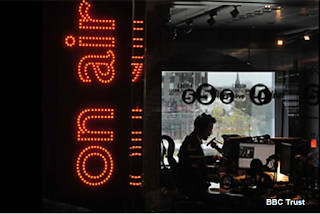 For BBC Radio 5live, which attracts almost 6 million listeners a week, the Trust's review found that audiences appreciate "its accessible, different and quality news, and its current affairs programming is also performing well." The review reports that "seven out of ten listeners agreed that it gets the balance right between serious and ‘lighter’ news. Its international news coverage of events such as the Charlie Hebdo attack in Paris was also praised by listeners." Both BBC Radio 5 Live and BBC Radio 4 have been told by the Trust to work on reflecting "the diversity of the UK on air." 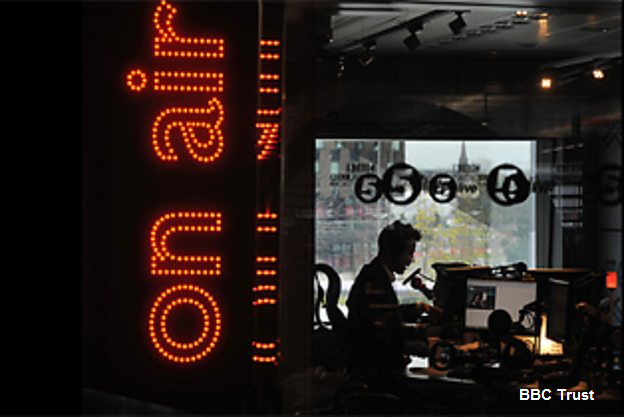 Following concerns from commercial radio operators about the remit of BBC Radio 5 Live, the BBC Trust has told BBC management that BBC Radio 5 Live's role is primarily a news service, and has recommended that it considers the way it positions and promotes the station to reflect this. BBC management will have to report back to the Trust to show how it has made progress on the Trust's recommendations.